FIFA president Sepp Blatter has defended the 2010 World Cup from criticism over empty seats and poor refereeing standards. 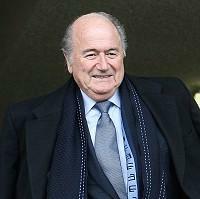 The head of world football's governing body also claimed he was not surprised by the poor showing by African countries. Instead, the 74-year-old believes the decision by Ivory Coast and Nigeria to change coaches just months before the tournament made it very tough for them to make an impact. "You cannot manage a national team when you coach two or three months before the competition and this has happened in two of the associations, Ivory Coast and Nigeria," Blatter told BBC Radio Five Live's Sportsweek programme.